Would you rather open more command crates or higher % gear drops on Op bosses? Before we go any further, we need to award to 30 day sub code to our Super winner! intended to make them more visible. Should we keep the 350% CXP bonus? 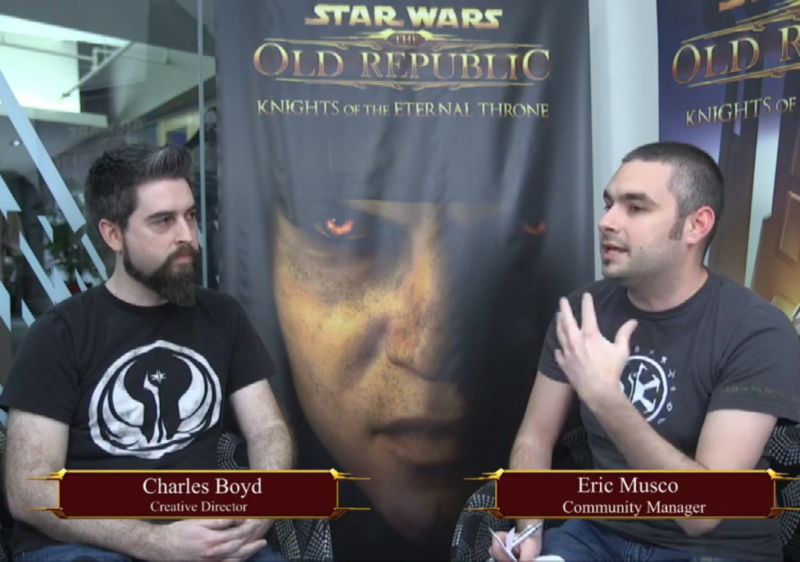 Story in SWTOR with Charles Boyd & Eric Musco. Players could suggest questions beforehand. They have made a YouTube playlist for starting players. Does SWTOR need an XP stopper? Some argue they don’t want to level up as fast. 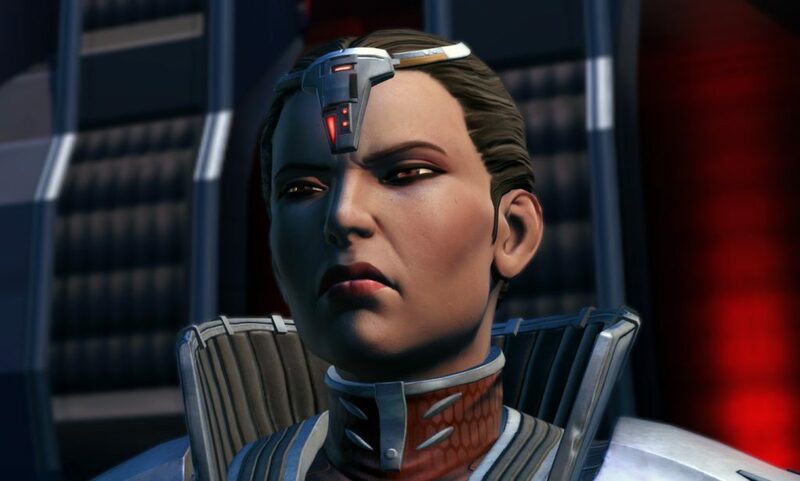 The SWTOR Escape Podcast #182: Max and Sema give some advice for Master mode chapters. Progressing further into operations doesn’t ‘feel’ much different for the first 4 bosses. Would be nice if it’s linear, say 1st boss 20%, 2nd 40%, 3rd 60% etc. It’s all about how about using the system and still reward gear for people who like to do veteran & master mode. Poll results: Would you rather open more command crates or higher % gear drops on Op bosses? Ask a Game Dev: How do you get a dev to listen to your feedback? Tip for if you want a high influence companion with you if you’re doing a heroic: start chapter 2 of KOTET on master mode, go out and enter a flashpoint manually. Empress Acina will be rank 45. Fun fact (KOTET spoiler): if you put a shock collar on minister Lorman at the end of KOTET chapter 2, you get a special skill to trigger it. Empress Acina greatly approves. Random fun fact: new XboX will be called Scorpio. I bet Scorpio is not amused. 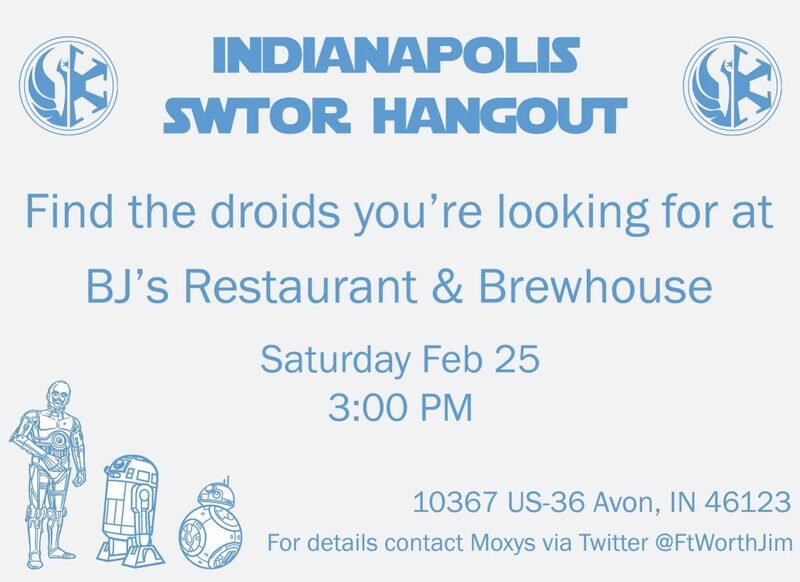 Confirmed that Jedi is plural in new movie! A big thanks to Kid Lee, Gem, Brains, and Constant Warfare for the hosts on Twitch.